Every maker has a story. Be a part of Popko Studio's story by placing an order, leaving a review, and seeing your review appear here. 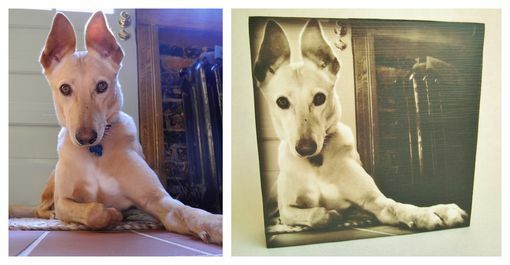 Turn your favorite pet photo into a custom piece of art! 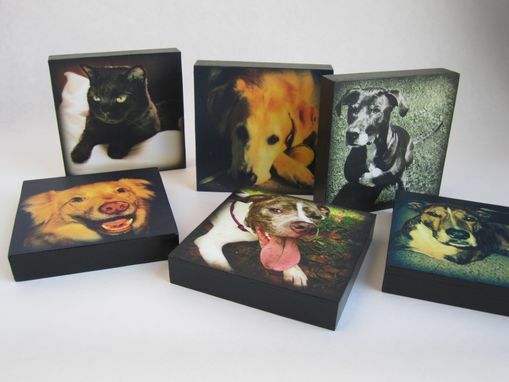 A unique gift for a pet lover. 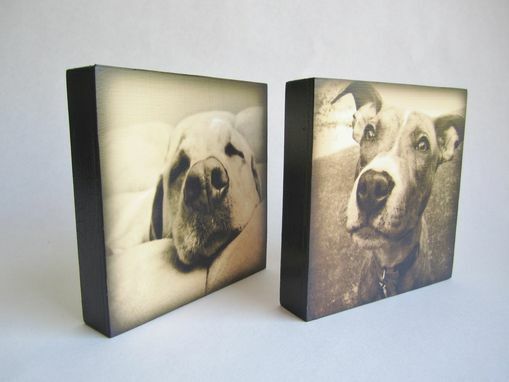 A touching gift for someone who has lost their furry friend. A special treat for yourself, featuring your very own animal kingdom! Using digital techniques, I will transform your photo into its own best self, then send you a proof for approval. When you say "GO! 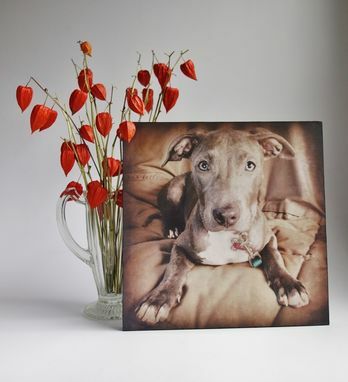 ", images are then printed on premium archival photo paper and mounted on a cradled wood frame, ready to hang or prop on a mantle or shelf. 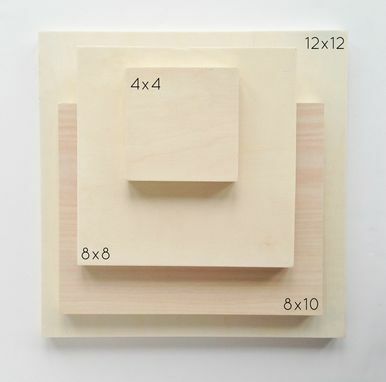 All pieces are sealed in a non-toxic matte finish and have a slight texture when complete, wood edges are painted black. High resolution images work best (300 pixels/inch; but I try to work with whatever you have.) I will crop, retouch and make your image look fabulous, usually within 24-48 hours. I'll upload a proof of your portrait and wait for your approval. 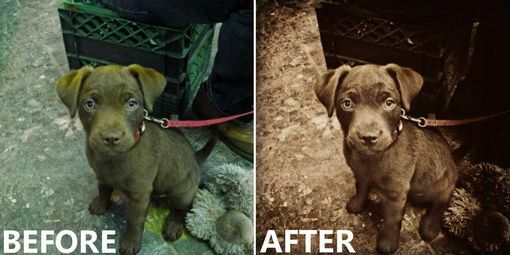 I use a variety of color enhancements, from sepia tone to black & white to super high color saturation...from faded features to special effects...let me create something beautiful for you, enhancing your pet's features, and you can choose the final image.